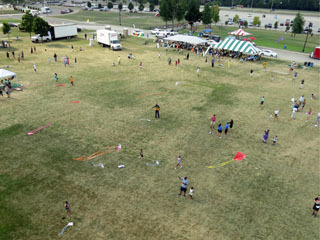 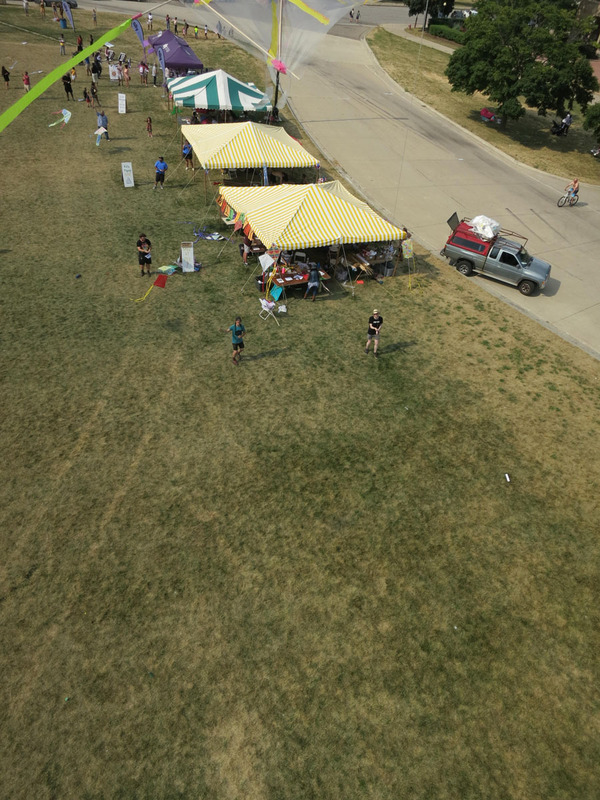 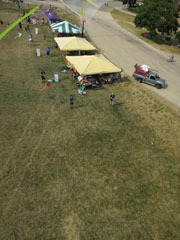 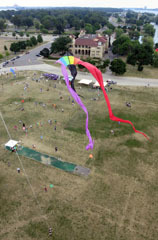 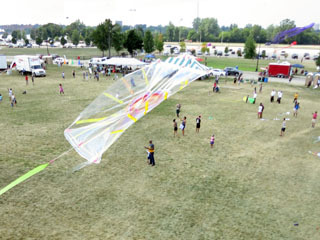 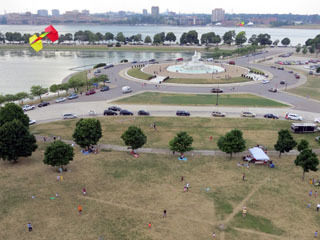 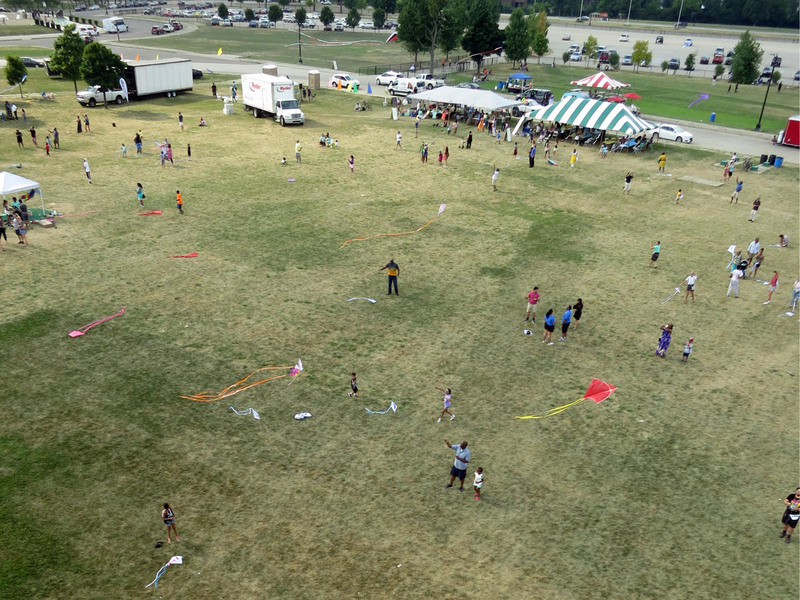 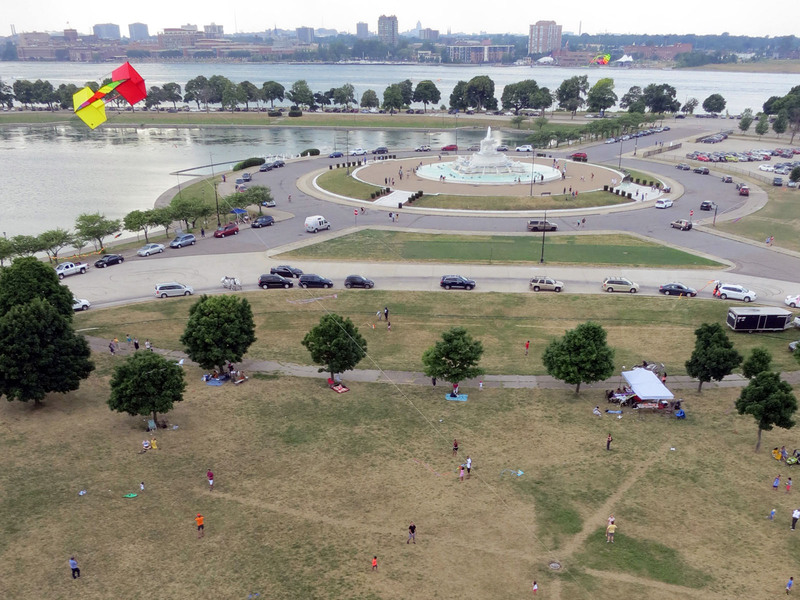 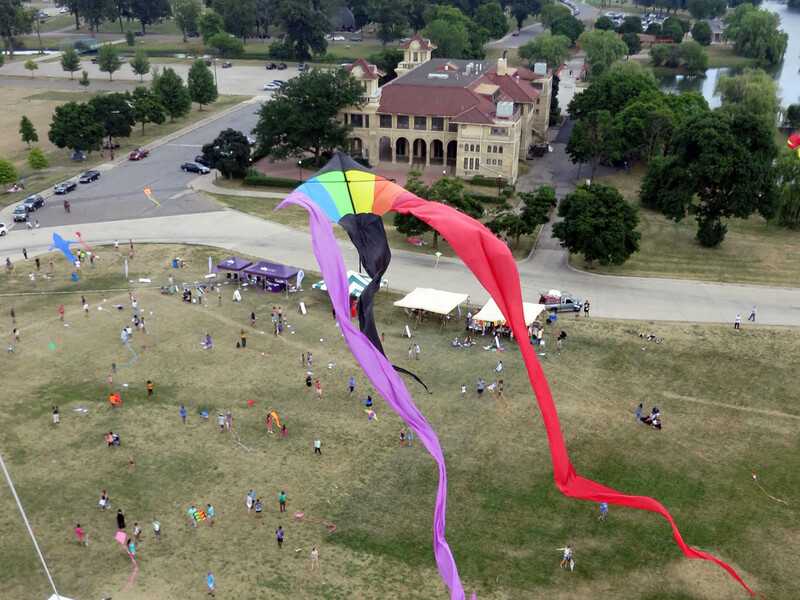 While at the Detroit Kite Festival I captured some aerial photos with my Canon S100 running CHDK, installed with STICK. It flew on the always-reliable KAPtery Aerobee rig, lifted by my Into the Wind Levitation Light. 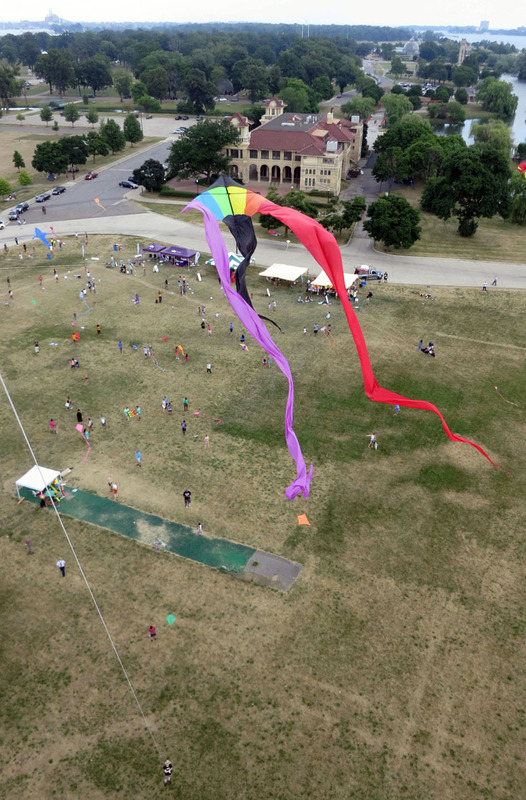 I had a fairly brief flight window right before the close of the festival, but was still able to capture some great kites in flight.